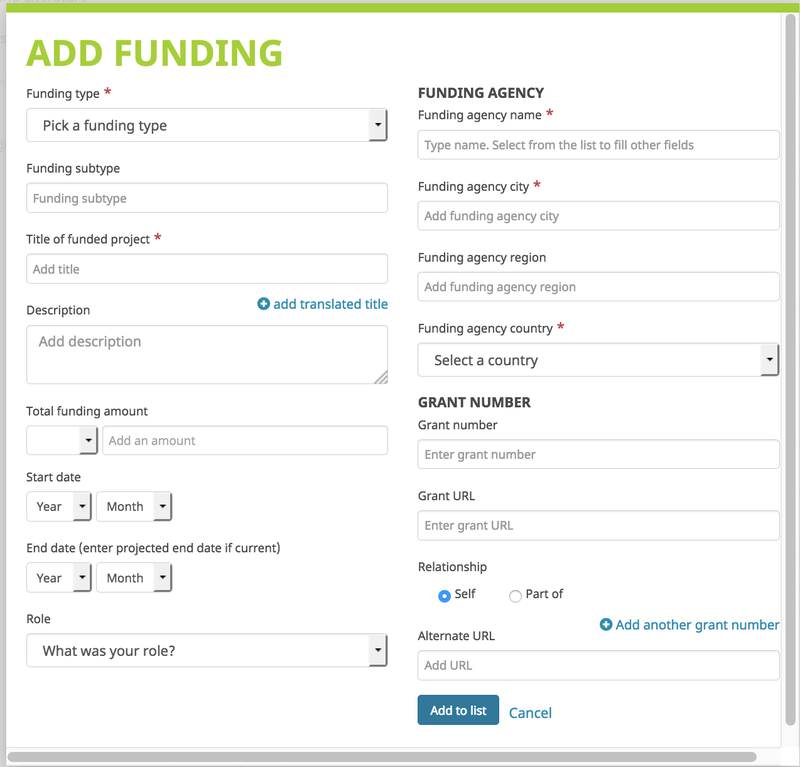 To automatically populate your grants, click on "Search & link." Give the uberwizard permission to look for your funding awards and follow the on screen instructions. If your name has appeared on any public grants, you should see them. If not, don't worry, you can always add your funding manually.